If you want to be able download content and play it on your TV or mobile device, the biggest choice you have to make is Plex vs Kodi. Each program has different strengths, and users all have strong opinions on which one is best. I’ve been using both programs for months now, and I want to share what I’ve learned to help you make up your mind and choose between Plex vs Kodi. 1 What are Plex and Kodi? What are Plex and Kodi? Plex is a streaming media server that lets you play movies, shows, and music on your TV and computer, mobile devices and streaming boxes. It sorts and manages your library, with full support for metadata and advanced features like on-the-fly video and audio conversion. It’s compatible with most streaming devices, including Roku, Apple TV, Amazon Fire TV and Fire Stick, and many more. Plex also has official apps for Android and iOS. For your computer, you can download the latest version of Plex server here. You can find the right Plex client for each device in your app store. 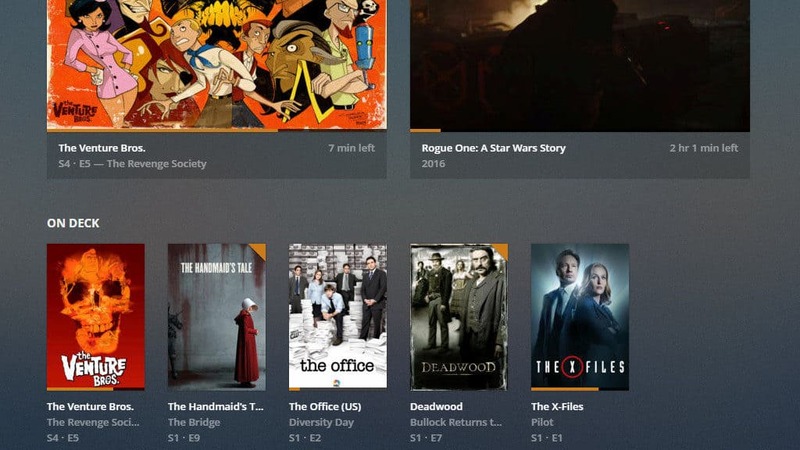 Plex is available for free, but also has a subscription service that unlocks premium features. Kodi is streaming media software that runs on your TV, computer, and mobile or streaming devices. It’s an open source project, with support for a huge array of addons, or software plugins, that let you stream content from the web or play downloaded videos and music. Kodi is known for being extremely customizable. With a little time and effort you’re guaranteed to find a look and feel that you love. The latest version of Kodi is 17.5, and it’s available to download right here. Kodi is entirely free. Whether you’re streaming content through Kodi addons or downloading a media library for Plex, it’s really important to protect yourself. Although many Kodi and Plex users turn to a VPN to hide their identity, we recommend using a VPN to keep your connection secure and private. ISPs are increasingly looking to throttle your bandwidth for downloading media, or trying to find ways to charge their streaming users extra for better performance. A VPN hides what you do online, making it much harder for ISPs to spy on how you choose to use your connection. But money-hungry ISPs aren’t the only hazard. Increasingly, hackers are turning to man-in-the-middle attacks to monitor your streams, intercepting and stealing data from the traffic between your Kodi device and remote servers. Performance can drop significantly if you choose the wrong VPN provider. We’ve tested most of the top-tier VPN services and we think IPVanish is the right choice to keep your connection secure without slowing it down. IPVanish has a huge number of servers worldwide, guaranteeing a fast, responsive, and secure connection regardless of where you live or what you watch. The VPN service also makes bypassing geographic content blocking easy and keeps no logs of your streaming activities. READER DEAL: We’re genuinely impressed with IPVanish, and have worked out a deal to give Comparitech readers 60% off standard pricing. We’re confident you’ll be just as impressed with IPVanish as we are. Both Plex and Kodi are capable of playing videos and music through your TV, computer, or on your phone or tablet. They support a wide range of formats and can output in HD and 4k. Where they really differ is in how they handle file format conversion, known as transcoding. Transcoding is a process that converts a video or music file to a different format on the fly. Some streaming devices have special chipsets that let them work with certain file formats faster. That means you can skip through a movie without delay, or play lossless music through your high-end speaker system. 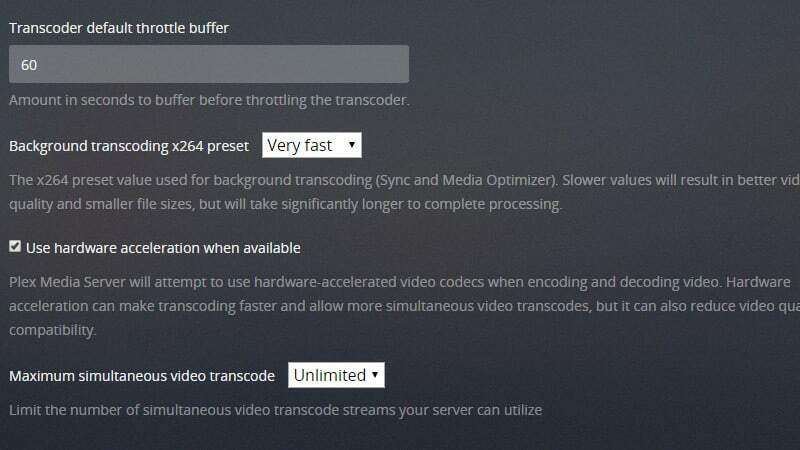 In my opinion, Plex’s transcoding options are better. It has support for hardware acceleration on the server, so even if your processor is slow Plex is still more than capable of transcoding without causing your TV or mobile device to pause and buffer. Kodi’s transcoder is based on open source software, so it’s compatible with a wide range of file formats. But it lacks configuration options, so in some cases your files won’t play at all. In that case, you’ll need to spend time converting your files to another format with software like Handbrake. For many users, either software suite will do the job. But if you’re looking for on-the-fly transcoding that will ensure your videos can play on the widest possible range of streaming devices, Plex isn’t perfect but it is a lot better. Each program handles your library of downloaded videos and music uniquely. 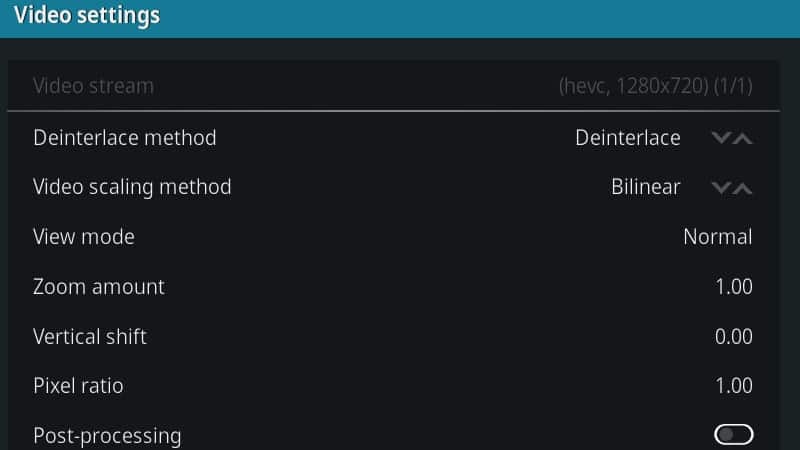 In Kodi, your library isn’t shared to other devices by default. In Plex, your library is immediately available to every device connected to the central server. The contrast in library management is one of the biggest and most important differences between Plex and Kodi. In practice, Kodi is usually better suited to media center PCs or Raspberry Pis that connect to your TV through the HDMI port. Kodi deployments are easiest to set up when they stand alone. Plex is much different, with your library of videos and music shared by default to any streaming or mobile device logged in to your account. That makes it a better choice if you want to take your media on the go, or have more than one screen in your home that you’d like to be able to stream on. That doesn’t mean Kodi won’t work with shared libraries though, or that Plex is only good for situations where you have multiple devices. Kodi has a few different ways to share your library, built right into the core of the software. Most people choose between SMB sharing or uPnP, but Kodi also supports MySQL libraries by default. It’s important to keep in mind that these all take some added configuration to get up and running, but any or all of them can be made to work. Similarly, it’s perfectly possible to install a Plex server on your Android device, Raspberry Pi, or media center PC and plug it directly into your TV with HDMI. But in general Kodi should be thought of as standalone streaming software, while Plex is a true streaming media server that supports remote clients. 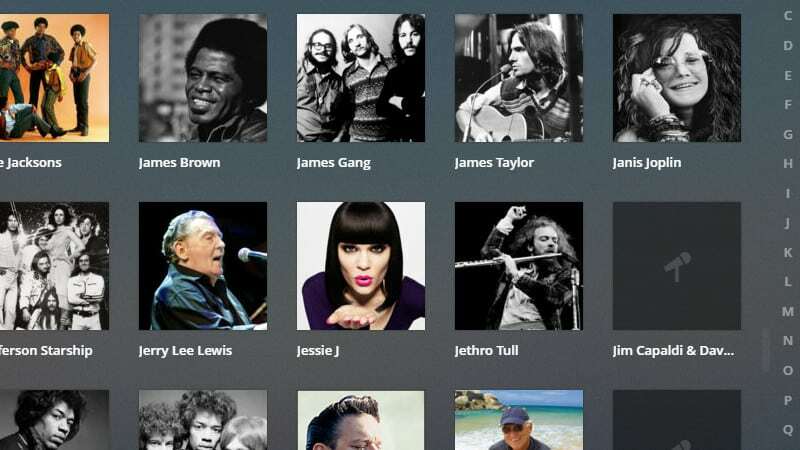 Plex and Kodi use metadata to present your videos and music in the best possible way. They automatically look up episodes, albums, and movies so they can provide cover art, summaries, and ratings. Rather than seeing a bare list of files you can stream, both programs provide an interface that’s much closer to Netflix. Plex edges out Kodi in practice. They pay for license access to the most complete media database on the web. With Plex, you’ll always see official artwork and complete information, down to a list of actors who worked on the project. Kodi uses a free alternative, which can be hit or miss, although it has been improving steadily. Kodi also can’t keep up with the way that Plex manages large libraries. On my Plex server I have a library with tens of thousands of songs, across thousands of albums. It scrolls smoothly and displays album covers in real time. Kodi is much choppier, and occasionally freezes up for a few moments as you scroll through the entries. In terms of library management in Plex vs Kodi, I believe Plex comes away as the winner. But again, Kodi’s strength is customization. If you have the patience and ability to create a SQL database holding all of your media, Kodi can perform just as well as Plex. But it’s much, much harder to get to the same level of performance as Plex offers by default. Plex’s major strength is the fact that it’s compatible with every streaming device under the sun, as well as Windows, Mac, Android, and iOS. It’s not just compatible, it has official releases in all of the app stores and it’s very easy to install. Kodi suffers a bit from its image as a piracy enabler. For instance, it’s not listed in the Amazon Fire app store and has to be installed manually on Fire Stick and Fire TV devices. The same is true for Apple TV, iOS devices, and Roku devices. That doesn’t mean Kodi can’t be installed on these platforms, but it does make it a hassle. I believe that makes Kodi a poor choice for a lot of users, and it’s just another instance of Kodi requiring more configuration than Plex to do very similar things. Kodi is very good when it’s installed on some devices that directly connect to your TV, though. 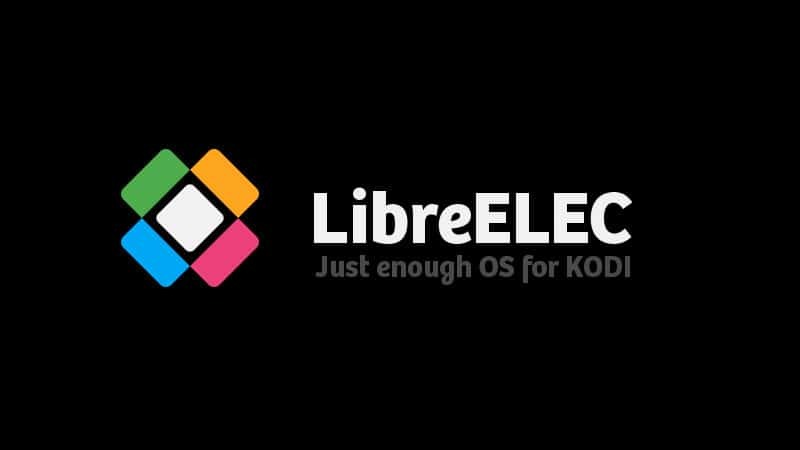 It has official hardware support from Android TV device manufacturer Minix, and a custom Raspberry Pi image called LibreELEC that makes Kodi really quick and easy to get running on your Pi. In addition to Plex’s wide range of support for streaming devices, there is one platform it really stands out on. If you happen to have an NVIDIA Shield, it’s the perfect device for your Plex server. NVIDIA has hardware support for 10-bit HEVC video, which is a commonly used format for ultra-HD 4k videos. That means you can watch 4k videos on your TV and stream 4k content to other devices without a hassle. Kodi is really well known for having thousands of different addons. 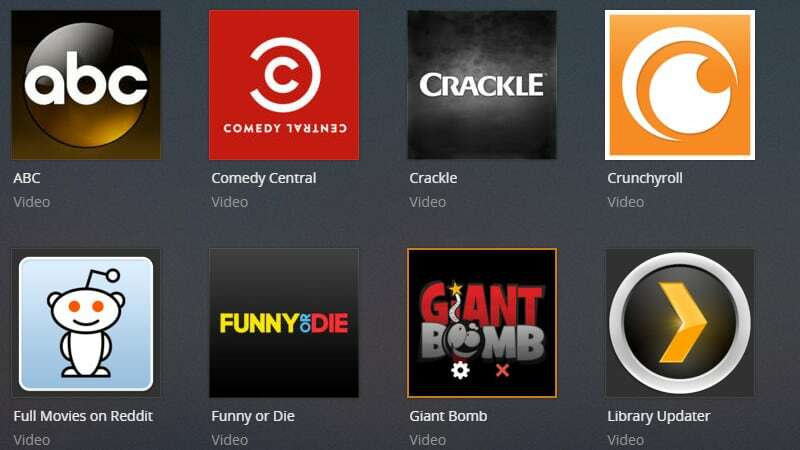 You can install everything from YouTube and Crunchyroll to movie channels and even an official Plex client. That flexibility just isn’t matched by Plex. In contrast with Kodi, Plex provides official channels for most of the major broadcast and cable networks. 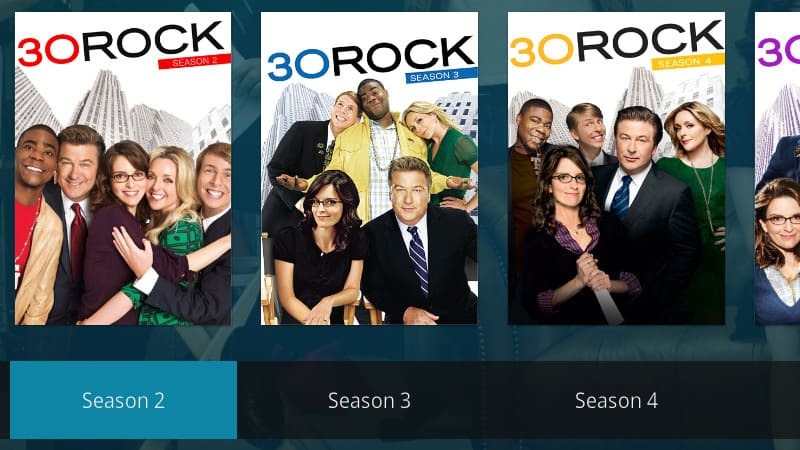 These let you access their on-demand content without a cable subscription, letting you stream directly from the web instead of downloading videos. For all of their flexibility, Kodi addons can be hit-or-miss. The most popular addons usually break copyright rules and can end up being shut down entirely. Plex has fewer channels, but most of them are officially sanctioned. Kodi also has a wide range of “official” addons, although most Kodi addons are not “official” the same manner. Instead, they scrape the websites of popular services in a manner that does not infringe copyrights. Although perfectly legal to use, few “official” Kodi addons are designed and offered up by content providers. There are exceptions for Plex. For instance, you can use the WebTools channel to install unofficial content on Plex. And Kodi has official addons that let you watch video from networks like ESPN. Both programs let users install custom content but, in a comparison of Plex vs Kodi, it’s Kodi that has a clear edge in the amount and sheer usefulness of their addons. There are a lot of pros and cons to consider when you’re comparing Plex vs Kodi, but I think it all boils down to a few important points. In the online streaming community, the Plex vs Kodi debate is a pretty hot topic. The fact is that neither solution will be perfect for every single user. Kodi makes up for their confusing configuration and lack of official support with complete and total freedom and flexibility. Plex is easier to use and works with more devices, but you have to pay in order to get the full experience. My personal opinion tends toward recommending Plex. I think the free version has more than enough features to be usable, and I really appreciate being able to stream videos and music from my library on all of my devices. Kodi has its place, but in my living room I want things to work with as little hassle as possible, and I’m willing to pay for it. Not a hot topic. It’s all about the client/player. Need to be able to play when and where wanted. Plex all the way. Winner hands down. Hosting content is important, but dang… I even have my old Samsung TV with Plex Player installed, and xbox, Roku, android, ipad, Mac, PC, everything. And I find myself using all of them – this is no small thing, not a gimmick! I’m a big fan of open source for this stuff, but it has got to be as easy (no command line or Linux crap to deal with setup or config) and HAS to have the multiple platform client apps. Kodi, I ain’t knockin you, but you gotta catch up in the client player space or you’ll forever be ignored at my house.